Another member of the skull head zombie cat clan has busted out of the Zombie Cats lab and is on the loose. These frighteningly terrible skeletal fiends are looking for their next meal, or maybe a forever home. Which will you be? This zombie cat design is available on a tshirt, click here. 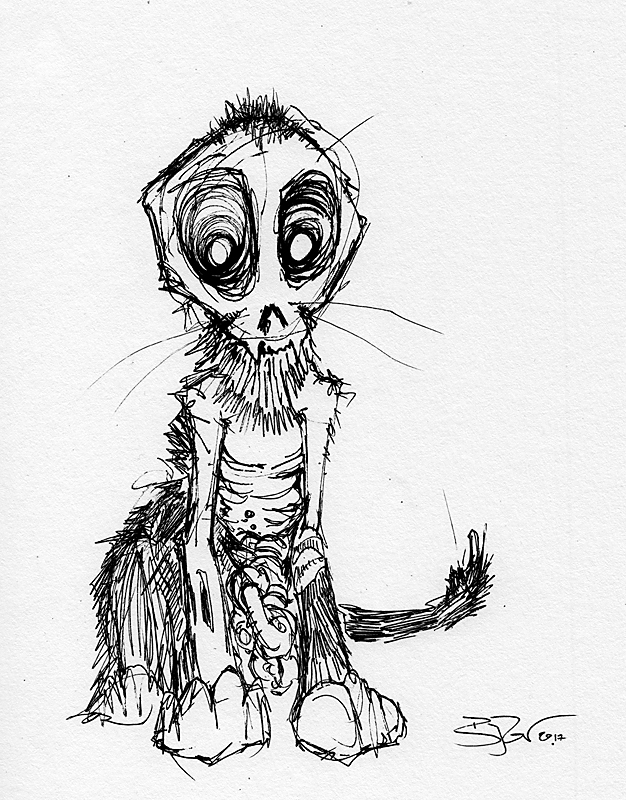 If you want to give this specific Skull Head Zombie Cat a home, follow this link.